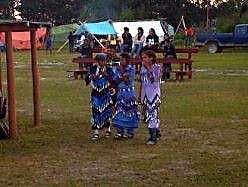 After many years of attempted assimilation and systematic repression, we are now an empowered First Nation Community. We firmly believe in our inherent right to self-governance and self-determination, and those rights will not be denied. We firmly believe in our freedom to live our lives as we want to live them, decided only by ourselves. 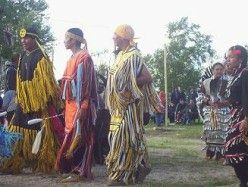 We encourage all our past cultural practices, and receive guidance and wisdom from our Elders, holders of the knowledge. That knowledge and wisdom has resulted in a community proud of its' heritage. We now hunt, trap and fish freely. We skin and tan our own hides, make clothing, dry and smoke meat and fish over open fires and in tee-pees, and make tools and traditional shelters. We do traditional beadwork and make jewellery. We keep our infants in a tikinagan (traditional cradle board) where they are kept warm and comfortable, and develop a sense of security. We govern our Community with a Chief and Council, as we have for centuries. Our daily mannerisms and behaviors reflect our distinctive lifestyle. We hold regular Feasts and gatherings to celebrate life, as we have for millennia. While most of our community belong to the Anglican Church, many freely practice traditional ceremonies. 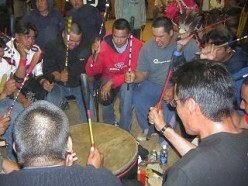 We have three sweat-lodges in the Community, and we are also home to traditional drumming groups. We hold Pow-Wows, and our Medicine men and women are revered. We encourage and support all the traditional behaviors that the people desire to partake in, and those behaviours are constantly increasing.